The Beirut Stock Exchange is run by a committee including a Chairman, a Vice-Chairman and eight members appointed by virtue of a decree issued by the Council of Ministers, in accordance with a proposal by the Minister of Finance. The Committee�s mandate duration is set to four years. 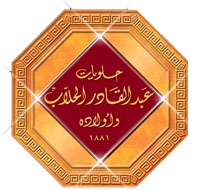 Founded in Lebanon in 1971, Jammal Trust Bank S.A.L. (JTB) has built a reputation for over four decades as being a quality, private commercial banking institution, covering Lebanon, Egypt, the Mediterranean countries and Africa.